Reduced to the max. Pantec’s CONDOR™ basic fulfills the requirements of medium profile, multi-sensor CMMs, focusing on touch trigger probe applications and optical systems at the highest performance level. Equipped with three main and two secondary axes, interfaces to all established CMM softwares, LED drivers and integrated power supply, all in a space saving slim housing, CONDOR™ basic is the choice for standard applications. 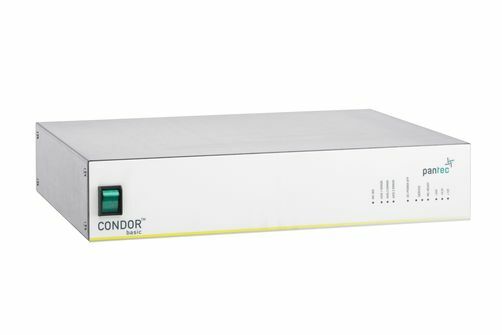 All CONDOR™ controllers are available for 115 or 230 V input voltage.